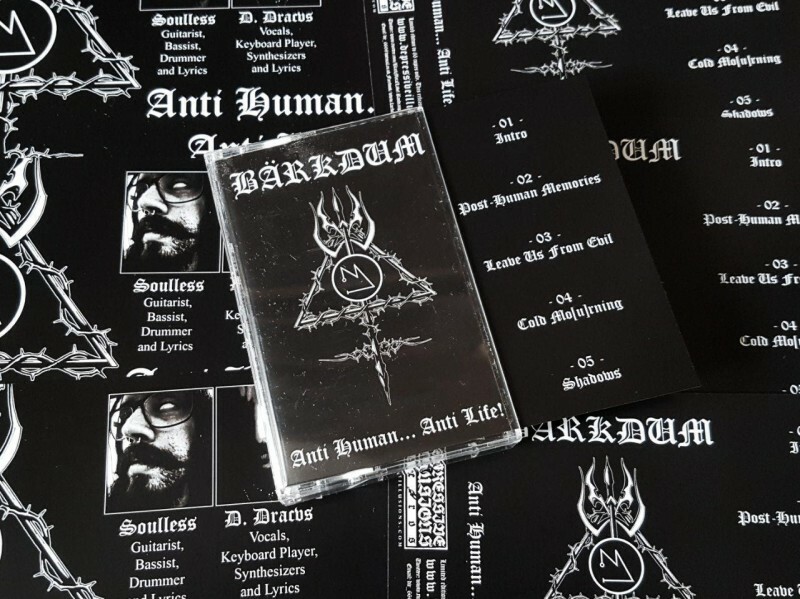 Bärkdum - Anti Human... Anti Life! cut 3282: Bärkdum - Anti Human... Anti Life! Raw Black Metal from BRAZIL. Tape limited to 66 copies with 2 sided pro-cover inlay. SILENCE THE EARTH "As thy winter ends"